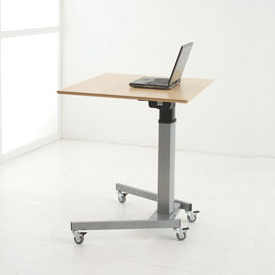 Multiple Working Postures - The 501-19 electric height-adjustable frame allows users to sit, lean or stand during their daily work. Transitioning between these positions encourages greater activity in the work place, bringing associated health benefits as workers are able to move away from a completely sedentary environment. 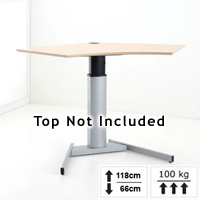 Infinitely Adjustable, Effortless Height Adjustment - The base provides infinite adjustment of height from 26" to 46.5", allowing users to quickly and precisely adjust the height of the worksurface to the optimal height for the desired workstation configuration (sitting, standing, or anything in-between). Supports Wide Range of Tops: This base will support most standard and custom tops anywhere from 18" to 36" in depth. 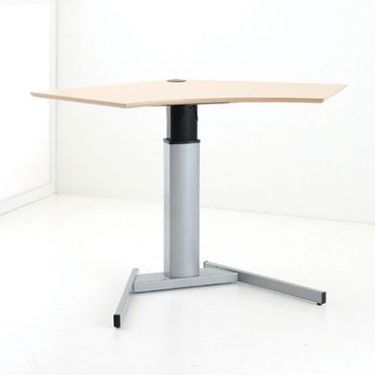 Widths of up to 48" are possible with the 501-19 Basic Sleek Modern Single Column Electric Height Adjustable Base. Dual Nesting Columns: The nested telescoping legs provide over 20.5" of height adjustment with minimal effect on stability even when at maximum height. 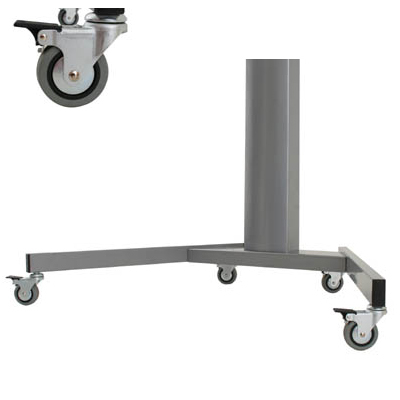 Adjustable Feet and Caster Wheels: The base includes adjustable feet which can be adjusted to ensure the base is level and to compensate for imperfections of the floor. Also, rear caster wheels are included to allow easy movement of the desk when relocating. 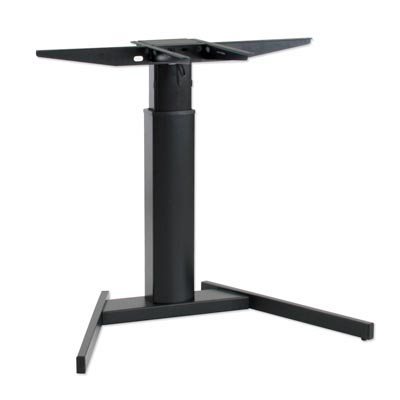 Height-Adjustable Range: 26" to 46.5"
Frame Width (for Table Top): 35.4"
Frame Depth (for Table Top): 18.7"
Frame Width (for Feet): 37.4"
Frame Depth (for Feet): 25.1"